Chiari is a complex and serious neurological condition. Information found here should NOT replace that from your doctor(s). But, I aim to provide both information and a much needed dose of humor. On this page, browse through some resources that I've found vital either my education regarding my condition, or that have helped me feel better. I'm not paid for my endorsements, unless noted. After surgery, you get a little blocked up. Opiates tend to do that to the best of systems. When prunes, laxatives and all that good stuff doesn't work perfectly, I couldn't believe how helpful this was. Chiari patients aren't allowed to strain. It's surprising how easy this product makes it to "go," without staining, even when you are passing rocks and pebbles. 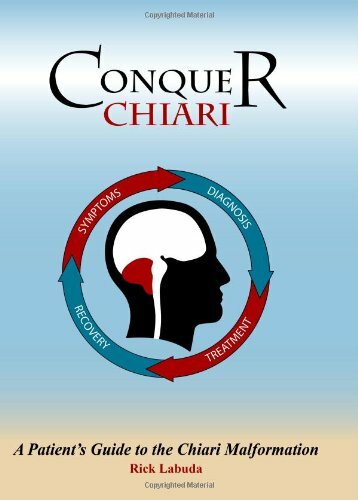 Conquer Chiari is the go-to site for the newly diagnosed, and those who feel they've got nothing left to learn. There's always something new to learn here. If you've just been diagnosed with Chiari, or you have a family member who has been, read every page, every article, everything on this page. I can't live without this contraption. 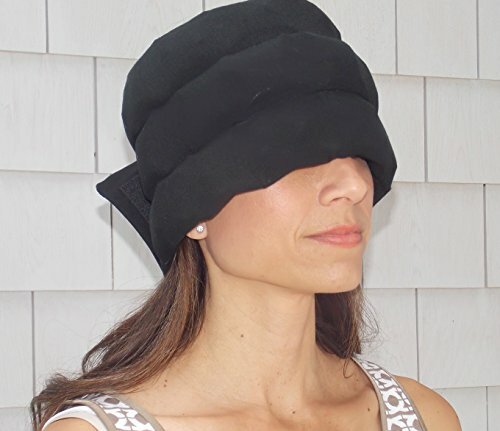 It's called the "headache hat," and I got mine on Amazon. It's linked in the pic above. It's made of soft fabric, which attaches with Velcro in the back. It has a zillion (not an accurate number) individual (thus flexible) ice packs sewn into it, which actually stay cold for hours and hours. I admit, it should more accurately be called the headache headband, or wrap, as it doesn't cover the top of your head, but it's the most beautiful thing I've seen on this earth, since the birth of my child. I can't live without it. Written by Rick Labuda, Executive Director and Secretary of Conquer Chiari, this highly readable and easy-to-understand book, breaks down the jargon and makes a scary diagnosis clear. 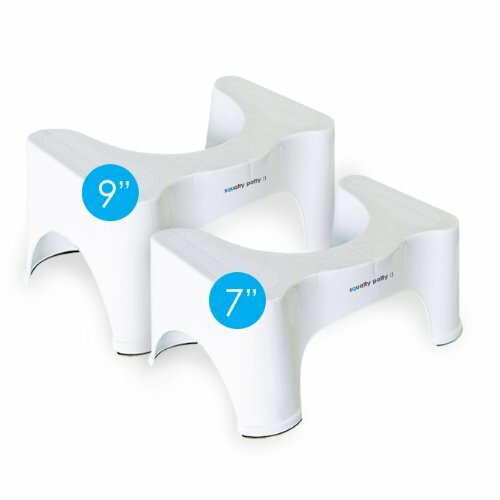 It puts the power back into the hands of the patient, and lets you ask the right questions of your doctor. If you have decompression surgery, you will not be able to lay flat. 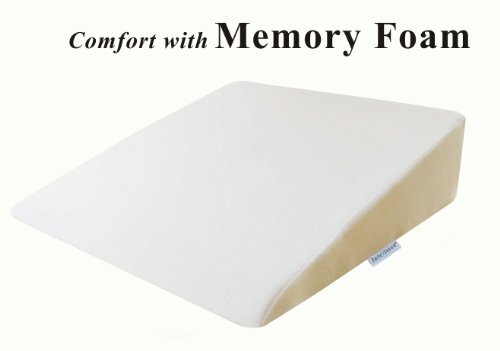 Lots of people have lots of different recommendations for what pillow worked best for them. I used a pillow like this one and made a little "nest" for myself, with this as the base. What worked for me may not work for you.